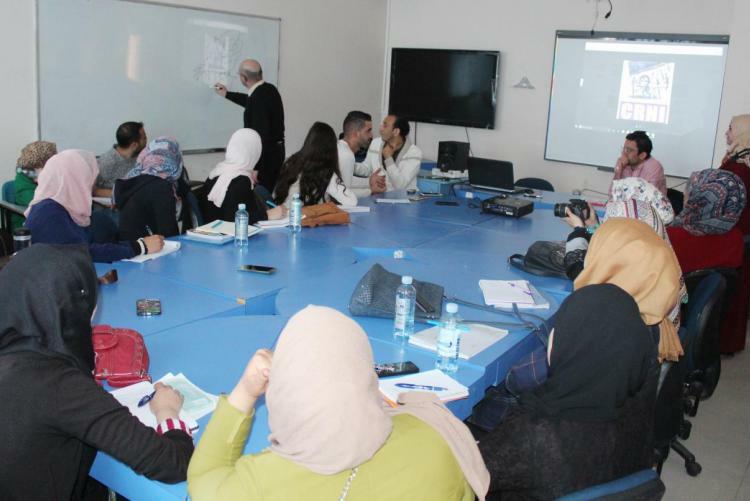 CRNI’s regional representative in Palestine, Mohammad Saba’aneh led a workshop on political cartooning for students at Arab American University, Ramallah this week. 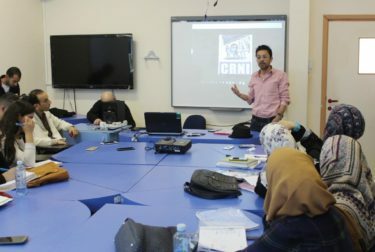 “Hosting a representative of CRNI, the Department of Arabic Language & Information at the Faculty of Arts at the Arab American University organized an introductory meeting for its students on the art of political cartooning and its techniques and its Palestinian history. The meeting was opened by Media Professor in the Department of Arabic Language and Information, Saeed Abu Maala who welcomed the audience and stressed the importance of the cartooning in the delivery of political messages, noting that this type of art played an important role as a tool for communication between communities, different schools of thought and transcending languages ​​and nationalities. He spoke of cartoon artists who have been attacked and others who have given their lives for their art, Naji Al Ali being the most well-known example. In turn, cartoonist Mohammad Saba’aneh provided a definition of caricature and cartooning, noting that this art is unparalleled in its dialectical power and an important indicator of the limits of freedom in any society. He touched on challenges facing cartoonists both local and global, crises, arrests and more, stressing the importance of supporting freedom of expression and to stand with the cartoonists trouble. 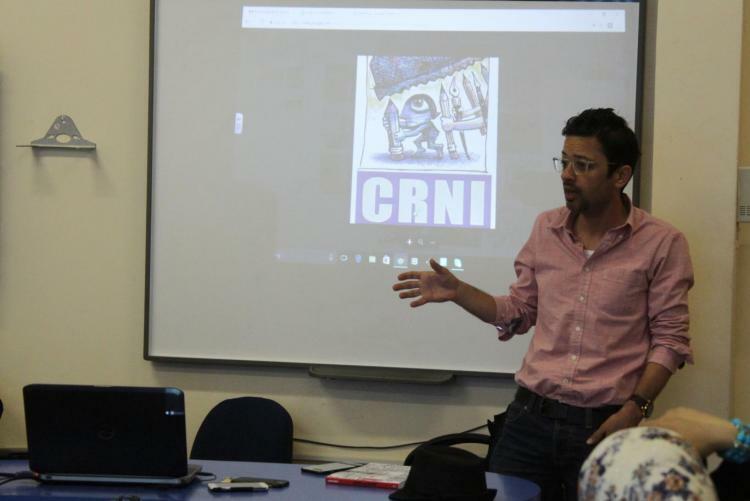 He explained that CRNI plays a significant role in the protection of the cartoonists and the support and advice they can provide to those who need it. We thank Arab American University for the use of their facilities and extend our best wishes to all who participated in the session. Readers may be interested to note that Saba’aneh’s debut volume of political cartoons entitled White & Black was recently published by Just World Books.